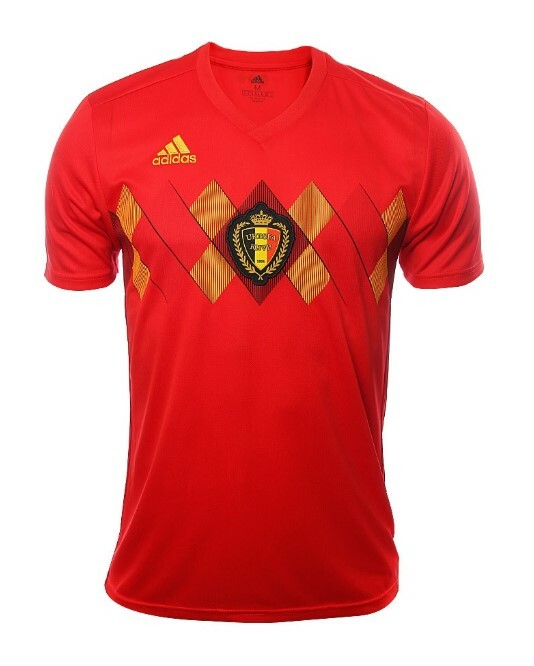 The Belgium kit for the 2018 World Cup is produced by Adidas and it is based on the design of the team's famous Euro '84 jersey. The home kit is predominantly red and contains a retro pattern that features horizontally across the chest. At its centre lies the badge of the Royal Belgian Football Association. Belgium's away kit is also retro-styled, with a striped-yellow shirt and black shorts. The shoulders include narrow black and red stripes, in-keeping with the Adidas branding. This is mimicked in the black shorts, with stripes of yellow, red and yellow adding a dash of colour.